Kicking off in Europe around four hundred or so years ago, Blackjack’s first foray into the big wide world was a game known as ‘21’, where the goal was to make sure your hand doesn’t go over the total of 21. Centuries later, when it was initially introduced to the USA, gambling houses offered extra bonuses to interest gamblers. One of these was a payout if the player's hand consisted of the ace of spades and a black jack (either the jack of clubs or the jack of spades) and the game we know and love today, was born. Blackjack has always been one of the most popular games in a casino and is likely to stay that way until the end of time. However, despite modern day Hollywood blockbusters such as Ocean’s 8, James Bond and Now You See Me showing the world of cards and gambling as a high-stakes, action-packed glitz and glamour rollercoaster, games such as poker, baccarat and blackjack just haven’t connected with millennials the way they did with Generation X and the Baby Boomers. 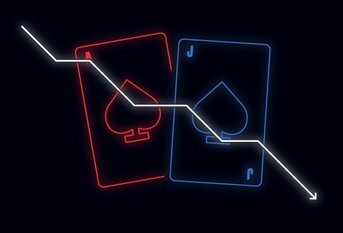 One of the theories as to why blackjack’s lost its edge with fans is the change in odds from 3:2 to 6:5, in an attempt to curb the much-loathed (by the casinos) art of card counting, a strategy used to predict the whether the next hand is of any advantage to the player. This has decreased the value of the payouts for players, causing people to lose interest, as the ability to win big and easy has decreased drastically. 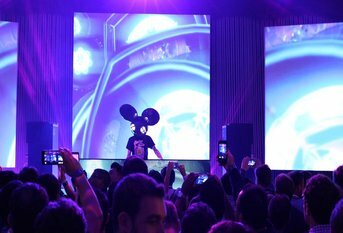 You’d think with Vegas pairing their classic rock residencies such as KISS and Aerosmith with more modern dance music megastars like dubstep pioneer Skrillex, and cake throwing megastar Steve Aoki, that millennials would take more of an interest, but it seems that only the stars themselves have the kind of cash to be taking big risks at the casino. Despite falling by $10 billion dollars in the past five years, the current global gambling games online market is sitting at a pretty comfortable $125 billion dollars. It’s fairly unlikely that the industry is struggling to keep the lights on, however it may well need to make some drastic changes, not only to the rules, but also it’s over all approach if it plans to keep the interest of a younger generation.